Our mother, Betty Blasius went to be with Jesus on January 29, 2019. 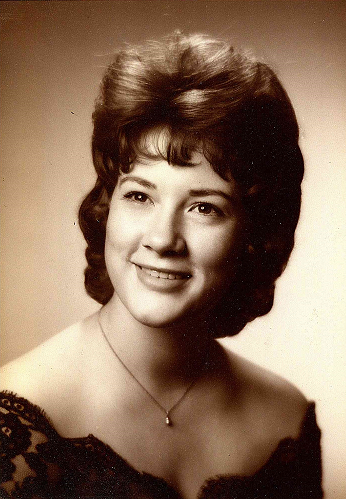 A Memorial Celebration of Betty’s life will be held Saturday, February 9, 2019 at 11 am at McClendon Chisholm Chapel Cemetery. The family invites you to join us for a meal following the celebration at the cemetery chapel, “Dr. Pepper” will be served! “Baby Sister” was born December 17, 1946 and raised in Terrell, Texas to Anna Kate and James T Burt. She graduated from Terrell High School 1967. Betty married HB Patton and had three daughters Annie Green, Julie Webster, and Jennifer Nachtigall. Later Betty survived Hal Blasius in marriage, she lived out her days Terrell, and she retired from the State Hospital after 33 years of service. Betty “Nana” was loved and will be missed by her 8 grandchildren Cameron Lee, Alex “Bucko” Dwayne, Remington Shane, Lynzie Kate, Austin Baily, Cody Wade, Trevor Collin, and Ella Morgan; 4 great grandchildren Ezabella Rae’ann, Erin Mavis, Elexa Baelei, and Addilyn Elizabeth.